Xiao Hui is a girl from rural Guangxi. She was living with her two brothers in an extremely poor condition with their grandmother amongst rural mountainous area. Xiao Hui’s father died in 2007 and her mother deserted her and the brothers afterwards. Living in a broken family, unfortunate Xiao Hui also suffered from severe scoliosis. The scoliotic deformity was more than 100° and it was very rigid. Clinically, her disfiguring deformity included uneven shoulders, truncal shift to the right side and severe right rib hump. More unfortunately, the girl’s deformed ribs led to her breathing problem. Although she did not have any breathing difficulty at rest, Xiao Hui could not climb long stairs. She had shortness of breath even walking up two floors and limited her daily activity. According to her doctor, the deformity correction was deemed to be high risk because of the limitedcardiopulmonary reserve due to the spinal deformity. However, it was the only chance for Xiao Hui to appear physically normal and to preventing deterioration of the cardiopulmonary function. 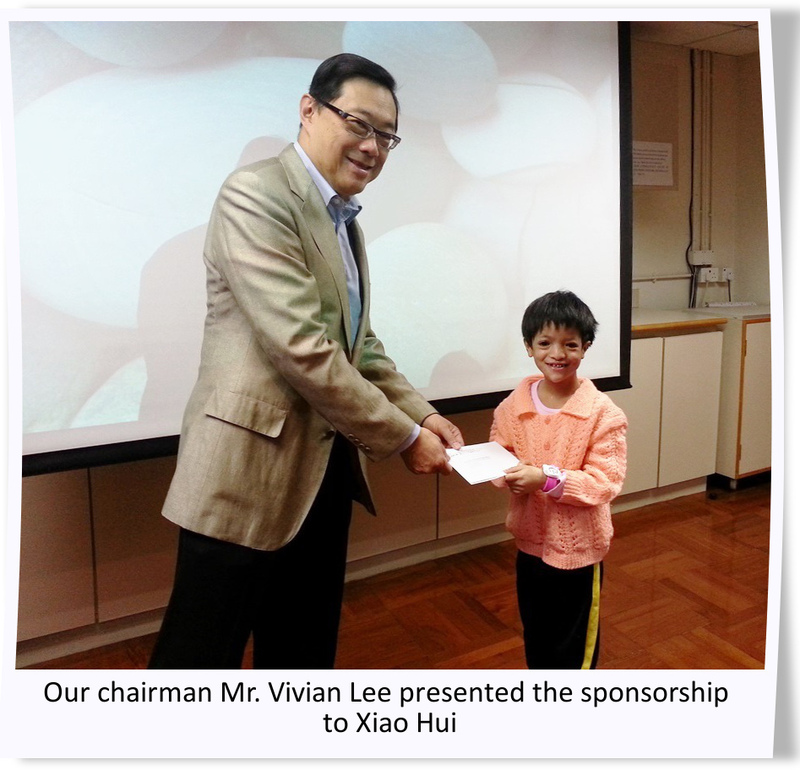 With the sponsorship from SRDC, Xiao Hui was arranged to Hong Kong in 2013 and treated at the Duchess of Kent Children’s Hospitalat Sandy Bay. She was assessed before the surgery in Feb 2013. Xiao Hui was discharged one week after surgery. The wound healed well in 2 weeks and returned mainland soon after the discharge. She had follow-up at the clinic nine months later and remained well. There was no deterioration of the deformity anymore. In medical perspective, this was very successful as a one-off surgery which was very worthwhile to operate. We were also very glad to see Xiao Hui‘s exercise tolerance gradually improved and became more confident. A complete new life to the girl was given in 2 weeks’ time.